Winter can be a challenging time of year for many athletes. However, the offseason and the preseason can be long and grueling. Without the thrill of competition, it may seem impossible to avoid what many athletes refer to as staleness, burnout, chronic fatigue syndrome, or what clinicians define as overtraining syndrome (OTS).1 Discover what overtraining syndrome is and how to avoid it in order to maximize athlete performance. The transition to college athletics can be an exciting, yet daunting time for first-year student-athletes. 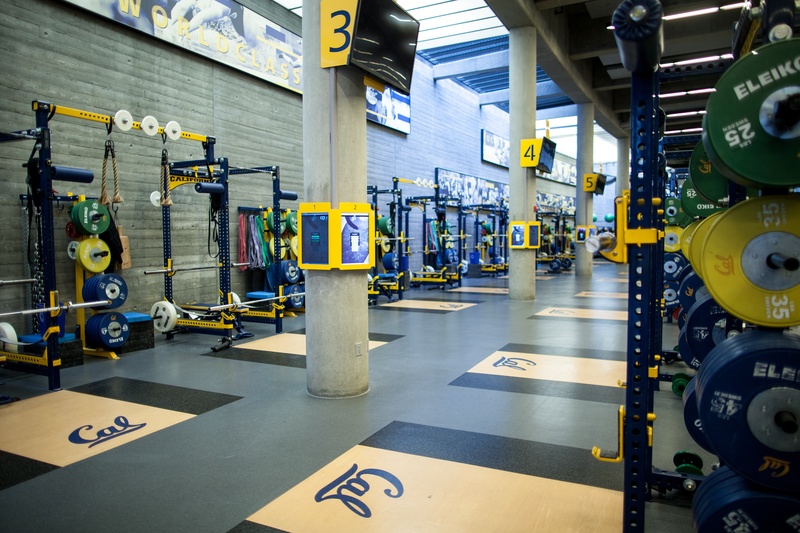 Playing sports at the collegiate level requires another degree of challenge and dedication to the sport. 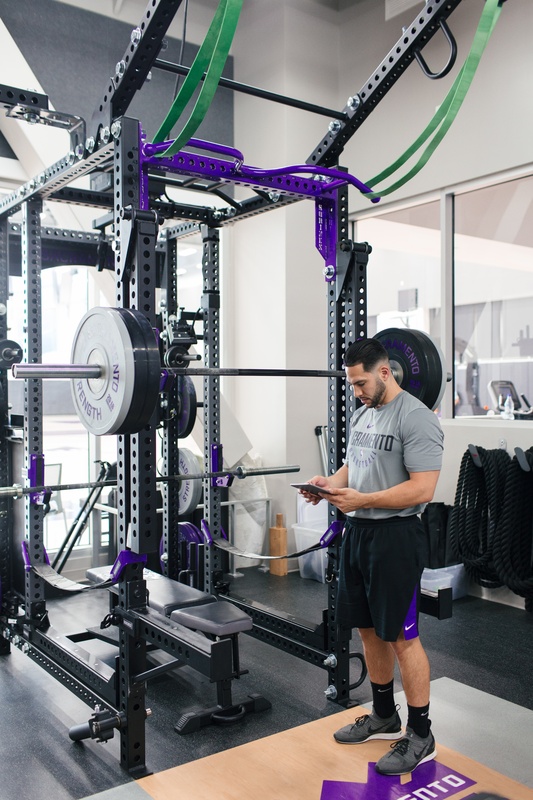 In order for first-year athletes to be successful at this level, it is essential for them to understand the expectations they must uphold from their school, professors, and sport coaches. Players should use the collegiate level as an opportunity to craft their skills and take their game to the next level, while balancing the many other aspects that come with college life. Recovery is an important process to implement for players in order to prevent injury, reduce fatigue, and enhance athletic performance. After an intense game, players should re-fuel their body and incorporate a variety of recovery methods to prepare for the next game, especially during long tournaments. 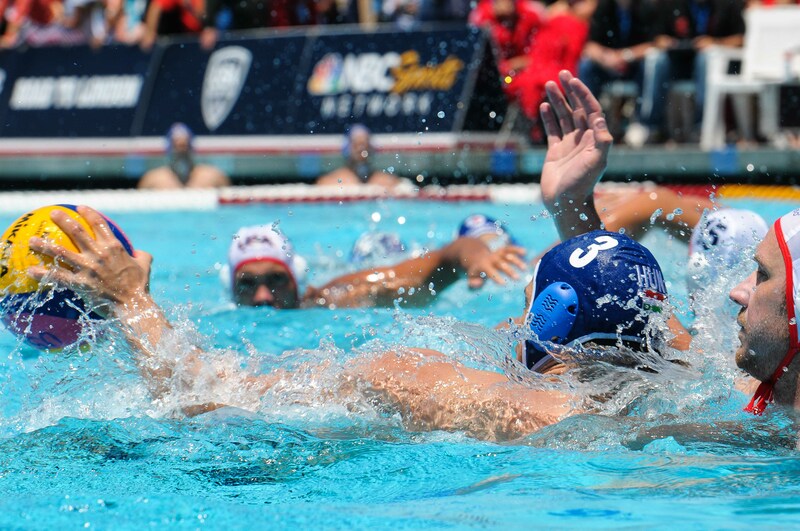 Below is a list of six specific recovery tips that water polo players should do to accelerate recovery and enhance performance in the pool for back-to-back games. Preparing for competition both mentally and physically is essential for the big day. From early morning practices to intense dryland training, swimmers have put in the hard work to get ahead of their competition. 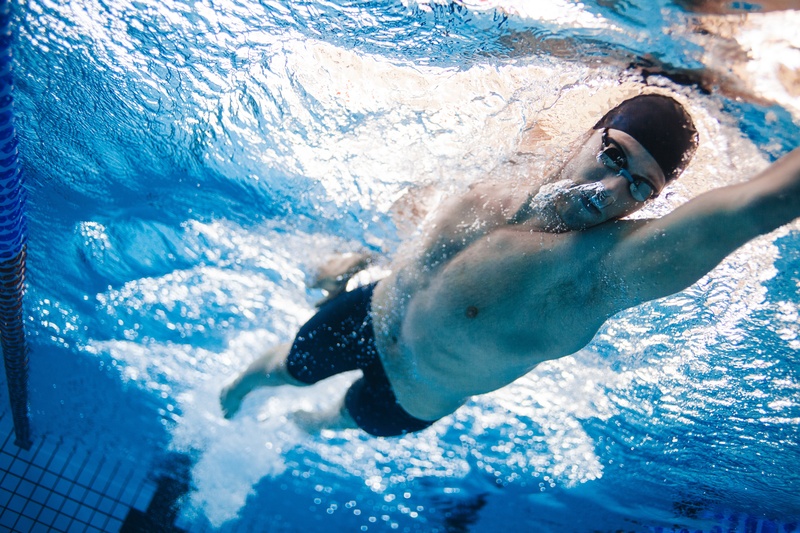 During the crucial weeks and days leading up to swim meets, swimmers should properly implement a taper phase in their training to optimize performance on race day. Going through a complete warm up and cool down before and after competitions and training sessions is a simple way for athletes to maximize their athletic performance. Even though it takes just an extra few minutes, it is easy for athletes to fall into the habit of not warming up or cooling down. Pre and post workout exercises play a crucial role in preparing the body for activity and assisting in full recovery. 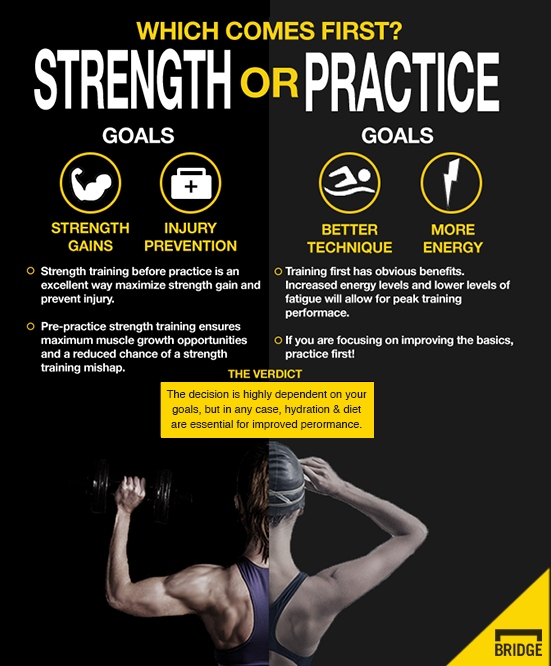 Many athletes and coaches wonder whether strength training produces better results when performed before or after practice. In many sports, practice is the cardiovascular portion of a workout, and combining cardio with strength training in one session can be extremely taxing to the body. Importantly, there is little scientific research to date favoring one method over the other, but read more to learn about both theories in context. Protein intake is important for all athletes, especially while endurance training. Often times, athletes tend to focus on carbohydrate intake rather than focusing on protein intake, which could have a negative effect on health and overall athletic performance. Muscle growth and repair is heavily dependent on protein levels. Athletes who don’t fuel their bodies with sufficient amounts of protein will end up canceling out the benefits of a workout, making the athletes more susceptible to fatigue and anemia. Protein deficiency is can be a true threat to an athletes ability to achieve peak performance, however this can be combated by drinking a protein shake on a daily basis, in order to stay on top of the game, and giving the body what it needs to sustain daily workouts. 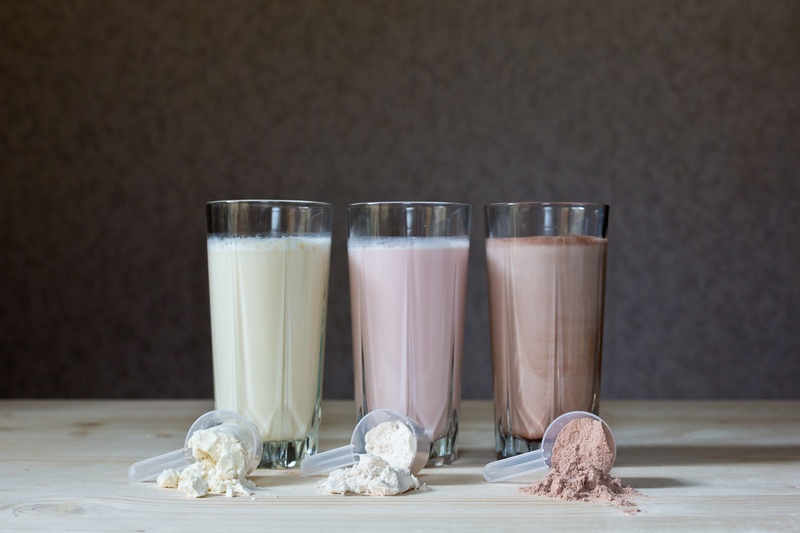 There are countless options of protein shakes, but it is important for athletes to be knowleagable of which one would work best for their lifestyle. 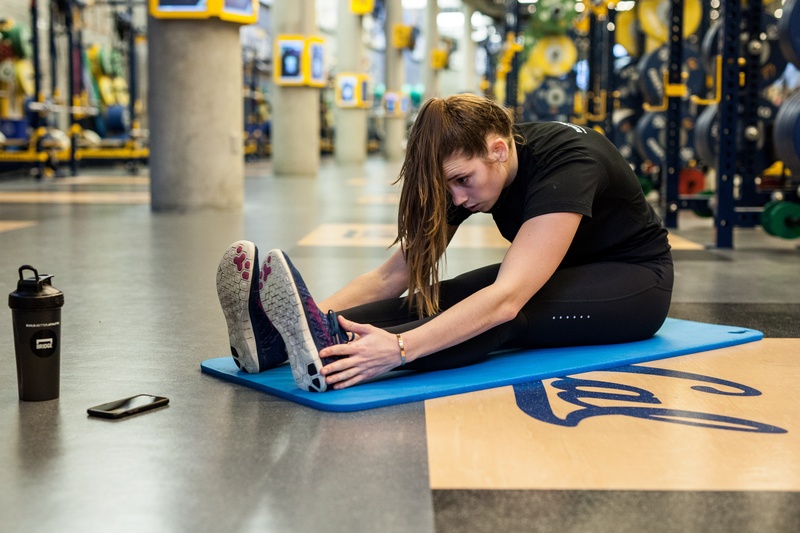 Stretching can improve circulation, muscle flexibility, range of motion, and consequently, help athletes perform better in workouts and in competition. When exercising, muscles repeatedly flex and contract. Stretching causes muscles to lengthen and relax, resulting in the ability to maximize muscle engagement in the next workout. Stretching also boosts the body’s circulation by increasing blood flow throughout the body.